Ailsa’s travel-themed photo challenge this week is Round. Round or square—which do you think will last longer through the coming storms? There’s a reason why most lighthouses are round. 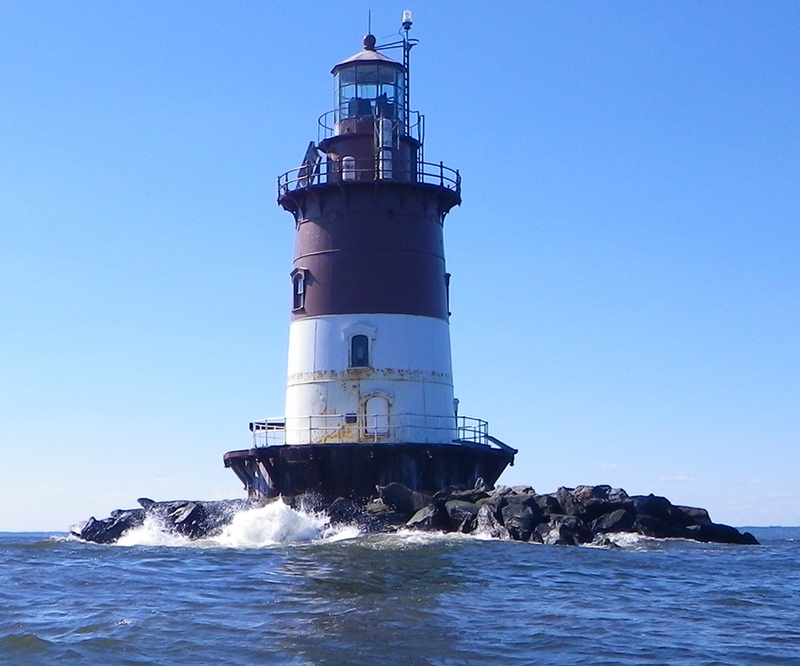 On the other hand, Old Orchard Shoal Light, a round lighthouse similar to Romer Shoal Light and just a few miles away from it in New York Harbor, was swept away by Hurricane Sandy. This entry was posted in Architecture, Photography and tagged Lighthouse, New York Harbor, Photography, postaweek, postaweek2014, Round, Travel, Weekly Photo Challenge. Bookmark the permalink. Good question! Lovely images. Lighthouses are a favourite with most people. IÄ’d love to climb to the top of the bigger Twin Lights and then spend a week in Romer Shoal Light. Dreaming…. 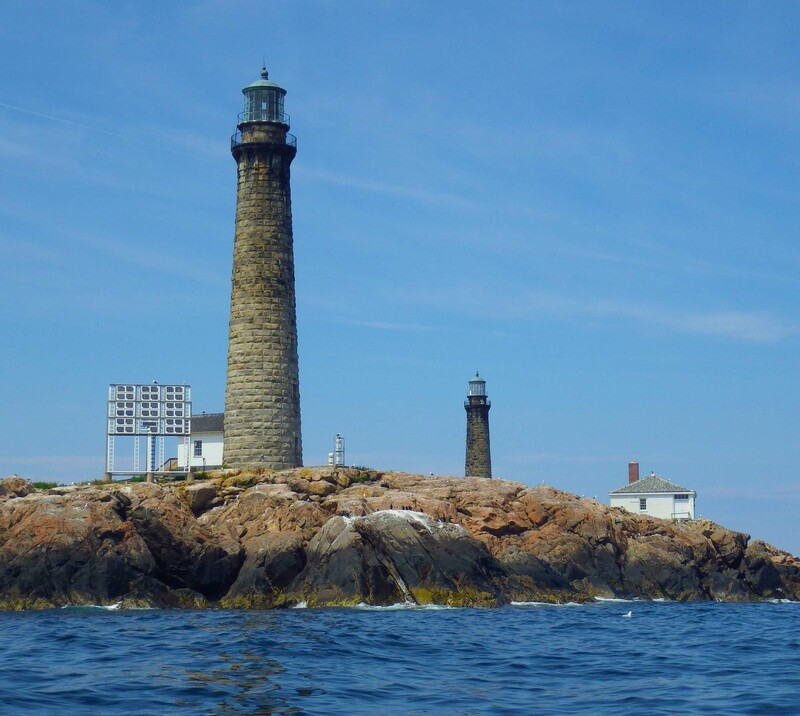 “I met a lady once who was all filled up with what she called the romance of the lighthouse. She said she often longed to be a keeper and live alone in a tower on a rock far out in the sea, and have peace and quiet. She couldn’t understand why I snorted. Peace and quiet! A lighthouse is about the noisiest place in the world. Out there on West Bank, for instance, with a gale blowing. When I was there the tower rose right out of the water, with no footing at all around it, so the waves crashed against the whole tower; shook it until sometimes the mantles over the burners in the light broke. Sometimes the waves went clear over the gallery, and the spray over the light itself. There is just something special about the first one. I Googled it and what a fascinating history. i would love to stay there at the B&B. Incredible how it was only automated in 1979. It looks amazing…thanks for the link. Beautiful images, and light houses are always interesting due to their location and architecture, right? Indeed! Many more lighthouses here. You’re right that even long before the age of the Internet people liked to make up stories and pass them off as true. Thanks for stopping by and liking my work. 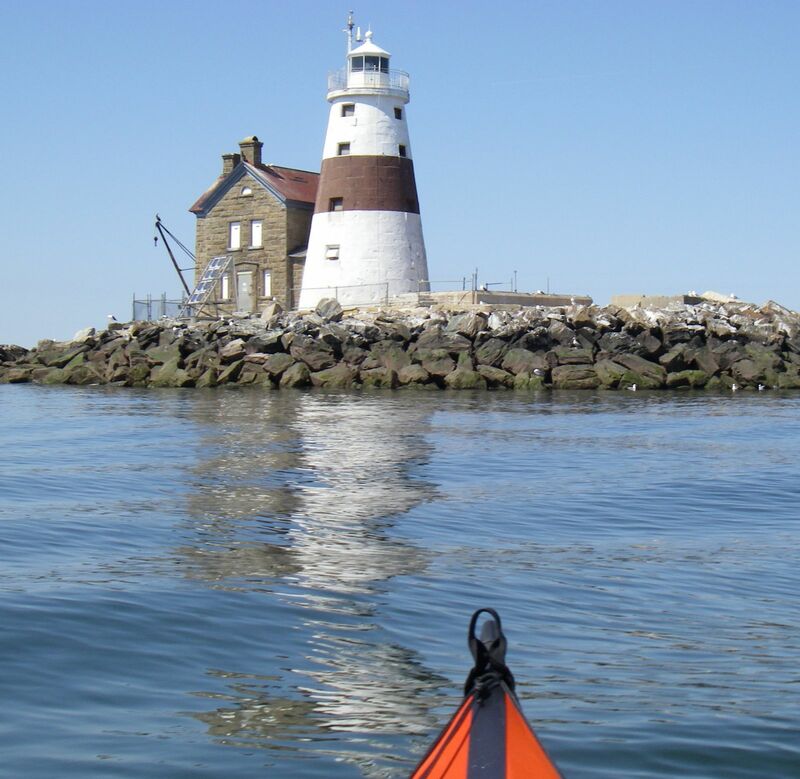 Great lighthouse pics. I have a few I will share in the coming weeks. I look forward to seeing them! Thanks, Rich!